Learn to setup the WiDo and POST data to Ubidots IoT Application Development Platfrom. The WiDo board packs an Arduino Leonardo and a WiFi chip into a single board. For $29.90 USD you’ll get the equivalent to an Arduino and a WiFi module, which would cost more if bought separately. In this guide we’ll learn how to send a temperature reading from the WiDo IoT Node to Ubidots. This board is designed and sold by DF Robot. Following this guide you will be able to POST data to Ubidots using the DFRobot WiDo in just a couple of minutes! 1. Download the Forked library of CC3000 library and install it. For a detailed explanation of how to install libraries using the Arduino IDE, refer to this guide. ISSUES NOTE: If you get a message saying you already have a library called “Adafruit_CC3000_Library-master” this is because you already have an installation for the CC3000 Adafruit module. To solve this, open the .ZIP file from WiDo, and change the name of the folder to something like “Adafruit_CC3000_Library-Wido”, then try installing the library again. 2. 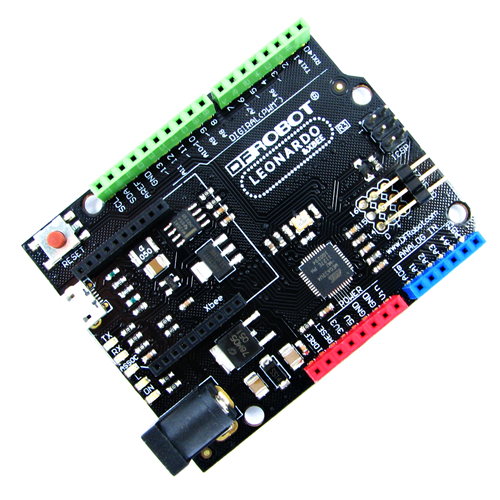 Select the "Arduino Leonardo" as the board you're working with in the Arduino IDE. To select it, press Tools –> Boards > Arduino Leornado. With the following sample code you will be able to POST the ANALOG readings taken from WiDo board analog port A0. 1. To post your first value in Ubidots, open the Arduino IDE and paste the sample code below. Once you have pasted the code, you will need to assign your unique Ubidots TOKEN and the Variable ID of the variables you will be updating in Ubidots. If you do not have the variable IDs, simply create a shell variables and then update your firmware to contain the correct Variable IDs. To locate the variable IDs, simply click here. * Modified by Agustin Pelaez for Ubidots, Inc. This example code is used to connect the Ubidots cloud service (Official homepage: http://www.ubidots.com). Note: Please don't forget to change the setting below before using! #define WLAN_SSID       "Abriles_LTE"         // cannot be longer than 32 characters! #define WLAN_PASS       "12345678"        // For connecting router or AP, don't forget to set the SSID and password here!! // If the device is connected to the cloud server, upload the data every 1000ms. 3. Upload the code into your WiDo (Arduino Leoanado). To do this, choose the "right-arrow" icon beside the "check mark" icon. At this point, the variables assigned in the code will be updating the analog readings the taken from the board. With this simple tutorial you are able to POST data to Ubidots with the ease of the Arduino IDE and a DFRobot Wido board.